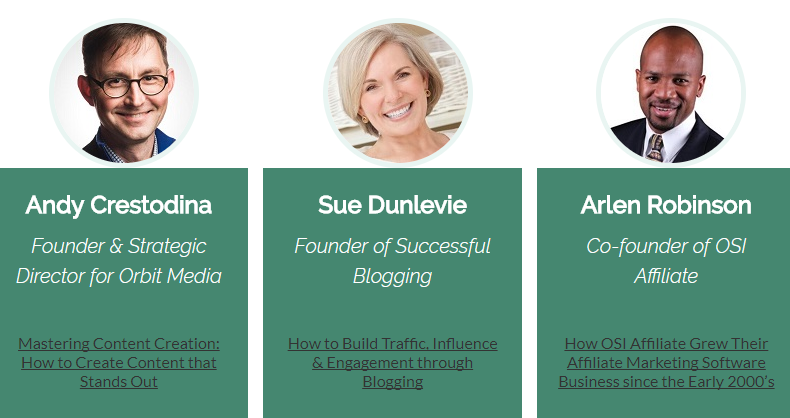 From October 6-8, a free e-summit called Traffic and Influence is happening online. Brian Lang, founder of Web Developers Etc and Small Business Ideas Blog has interviewed 35+ experts in the field of blogging, social media, content marketing and SEO. Each video is 30 minutes to an hour and is in a question and answer style. This means these are perfect to put on in the background as you clean the house, knit, color a book, workout or whatever else you do this weekend. Ideally, you should go through the sign up form here to get free access, but you can use the links below to go to a direct video. After this weekend, videos can still be seen for a one-time fee to get unlimited access. Update on 10/10/17, videos at links below still work! First off, Robbie’s blog has been one of the few that I actually read on a consistent basis. He doesn’t publish often but when he does I take 30 minutes to an hour to really soak up what he says and test his strategies out. So when I saw his name in the line up I immediately watched his video first. He didn’t disappoint! I have three solid pages of notes that I’m stoked to use with when I get back to work on Monday. Andy Crestodina is the type of guy that I would love to just hang out with. He fascinates me and, I’ll admit, I totally stock him online. Andy talks about creating content with a promo goal and how content created for social is going to be different for one optimized for search. This is the first time I’ve heard of Tom Morkes but I took a lot of notes from his interview. He has a very similar relationship building model that I use and he even gave a few example email templates to help you create a relationship with people online. Tell me your favorites in the comment below!